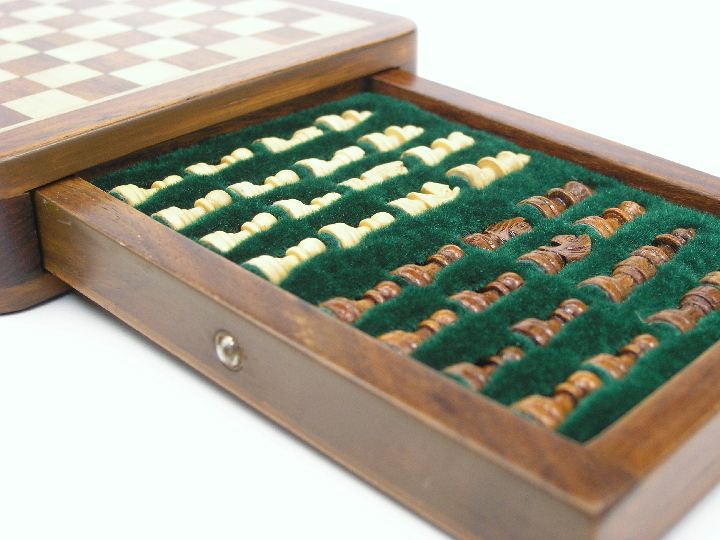 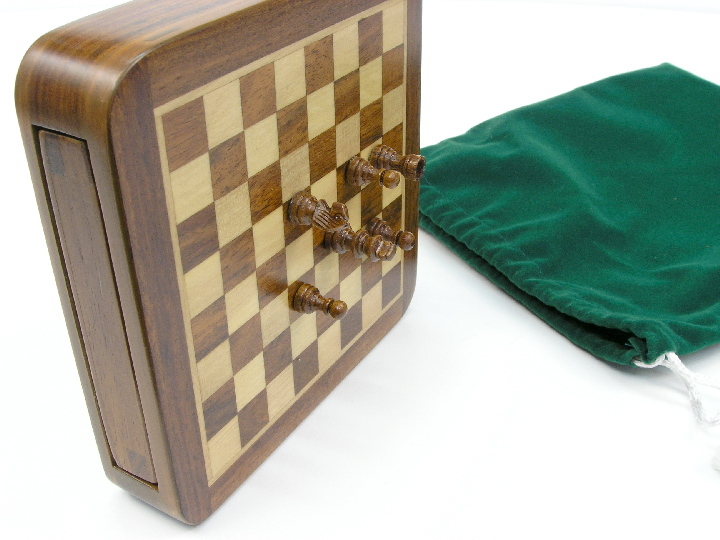 This product from Chess Baron: Magnetic travel chess set with internal sliding drawer. 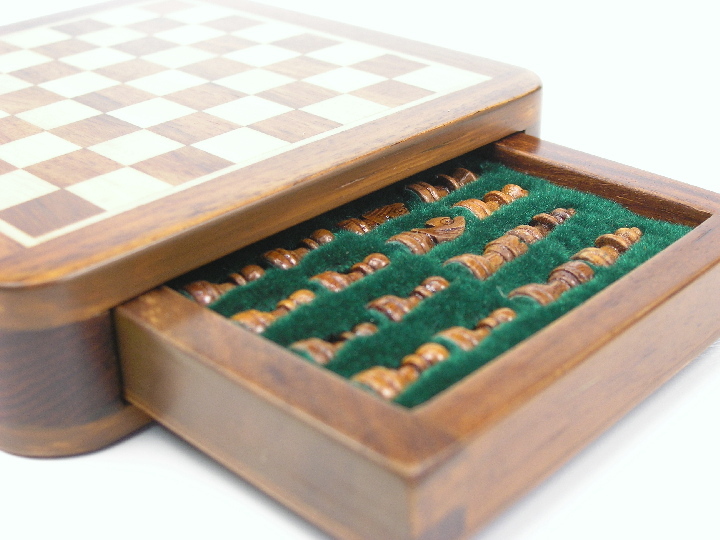 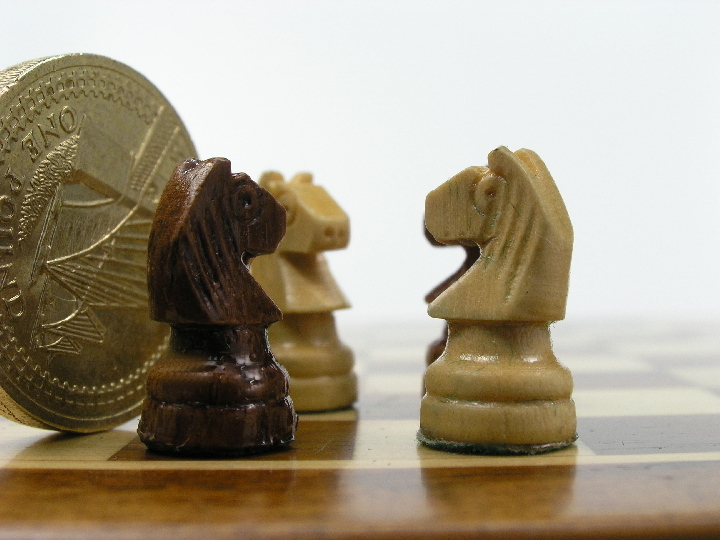 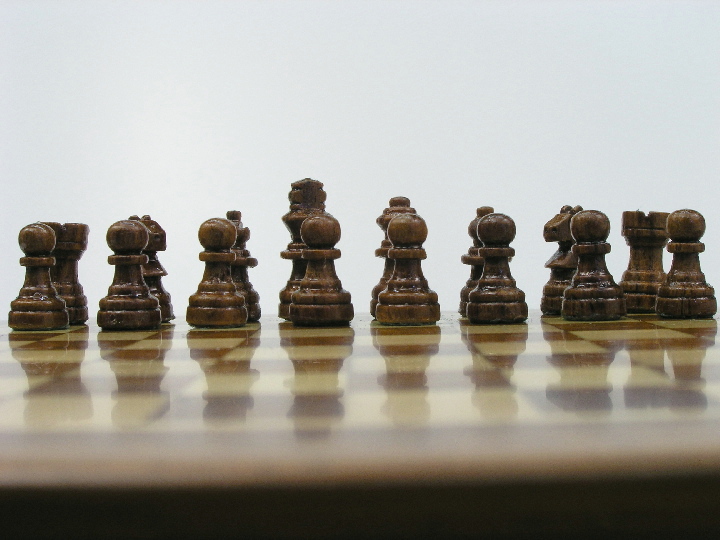 This compact little magnetic chess set is quite lovely. 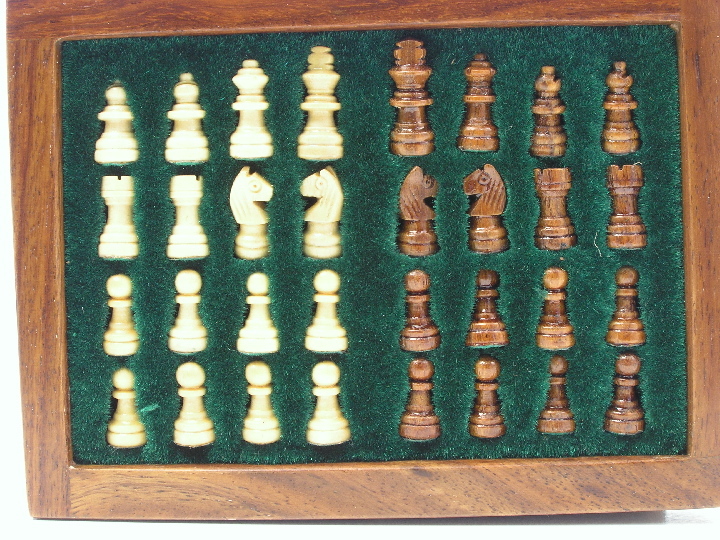 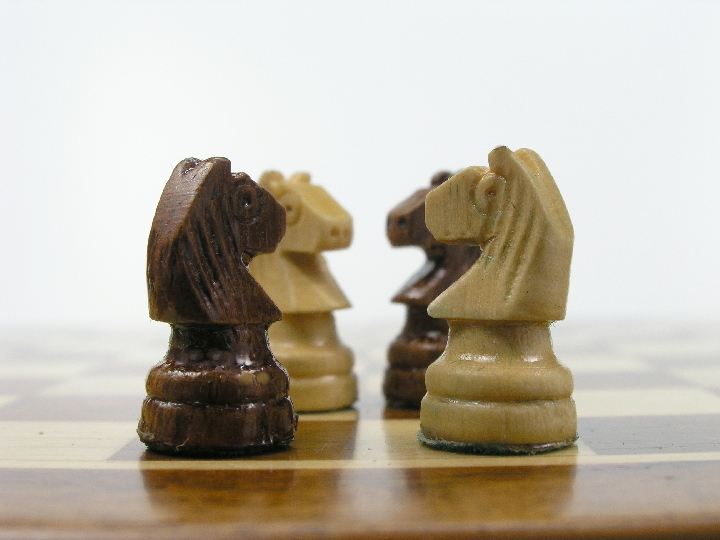 The tiny pieces have such excellent detail and are magnetised to such a high degree of quality that the set can easily be turned upside down, knocked, jostled - and the pieces on this magnetic chess set stay in place. 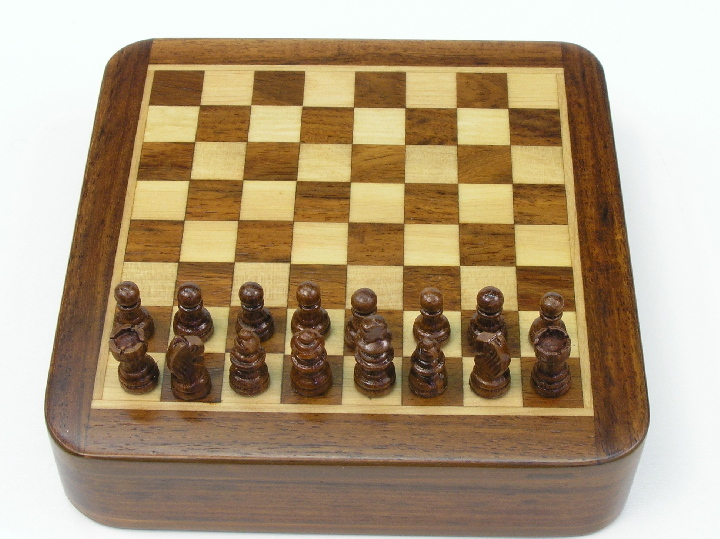 The magnetism is so well done that the pieces can still easily be moved from square to square. 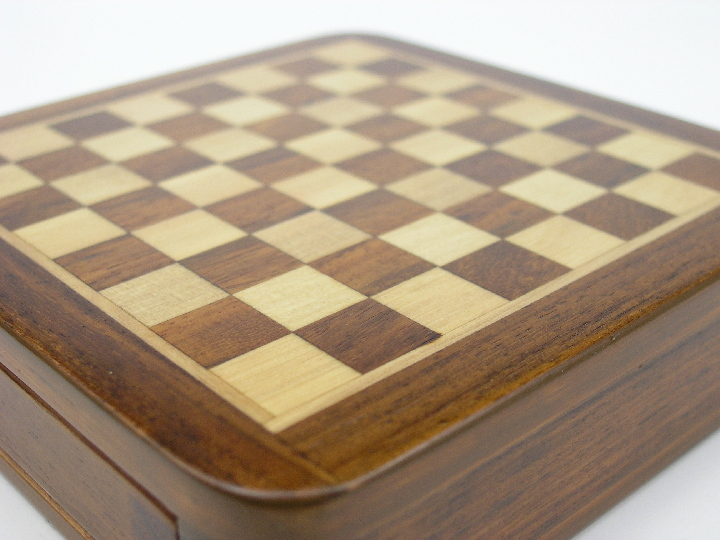 The board is highly glossed. 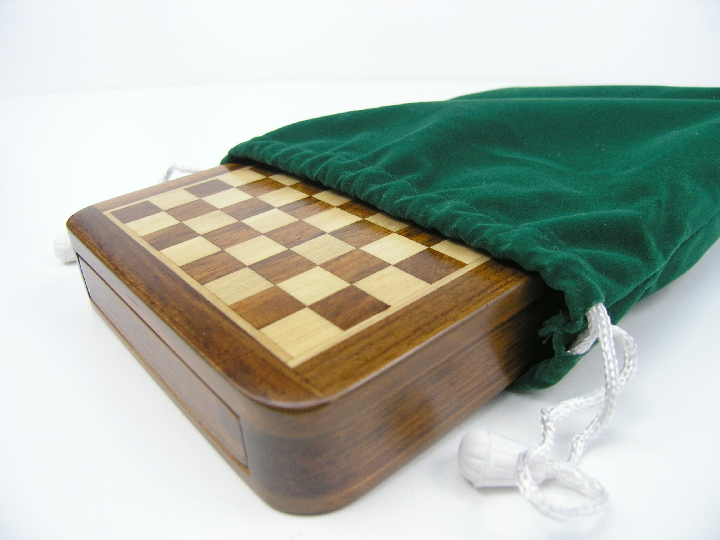 We at ChessBaron think highly of this little travel set which measures 7.5 inches by 7.5 inches.